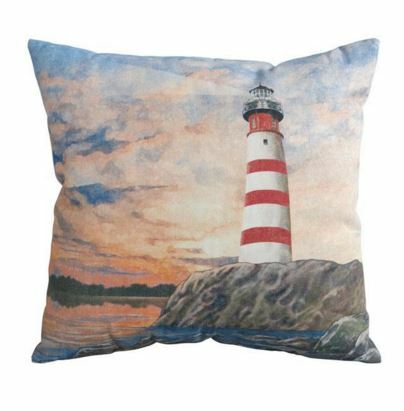 This indoor or outdoor lighthouse throw pillow can shown off anywhere. Aren’t the colors perfect for nautical style homes? The fabric is durable enough for outdoor use. And the price is awesome too at just $20.